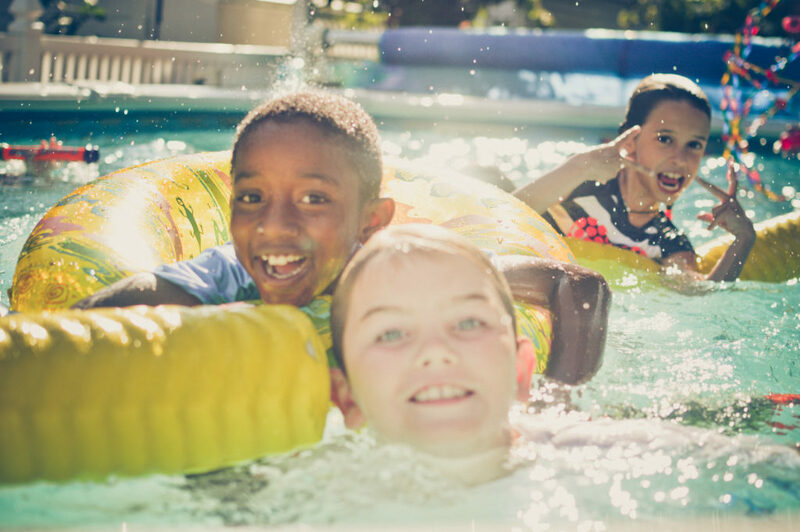 Summer is quickly approaching and I want to make sure that you and your children are ready to have a safe and fun-filled summer. There should always be a designated person to watch any child in or near the water. Children should never be left alone, especially inexperienced swimmers. There should be an adult swimmer who knows CPR that is always within arm’s reach. Pools should have fencing at least 4 feet high around all four sides with self-closing, self-latching gates. Consider surface or underwater alarms as an added layer of protection. These devices alert you when someone enters the water. Rescue equipment (a long pole or a floatation device) and a phone should be kept near the pool. All inflatable swimming aids should be coastguard approved. “Arm floaties” or “swimmies” should be avoided as they can slide off or deflate and are not strong enough to keep a child’s head above water if they are in distress. Everyone should learn to swim. The AAP states that participation in a formal swim lesson can reduce the likelihood of childhood drowning deaths by 88%. Chose public pools or beaches that have certified lifeguards on duty so there are extra eyes on your child at all times. Summer also means more time in the sun and you should protect your family from excessive sun exposure. The AAP recommends keeping infants younger than 6 months old in shaded areas and out of direct sunlight. Older infants and children should have exposed skin covered with long-sleeved swimwear, hats, and sunglasses. When used appropriately, sunscreen protects the skin from damaging UV rays. For babies younger than 6 months, a small amount of sunscreen can be used if protective shade is not accessible. Use caution when applying sunscreen around the eyes and if a rash develops talk to your child’s pediatrician regarding options for sensitive skin. Make sure sunscreen is applied 15-20 minutes before going outdoors giving it time to absorb into the skin. Sunscreen should be applied even on cloudy days and should be reapplied every 2 hours. If sunburn does occur, make sure to give your child plenty of water to replace lost fluids, use cool water to help soothe the skin, and keep your child out of the sun until the burn is fully healed. To DEET or not to DEET? That is a question that I’ve been asked by many parents. Insect repellants should be used consistently and safely. There are many different forms of insect repellants including chemical repellants with DEET, picaridin, repellants made from essential oils found in plants, and chemical repellants with permethrin for ticks. When choosing a repellant for your child, chemical repellants with DEET are the best protection. The AAP recommends that repellants should contain no more than 30% DEET when used on children and are not recommended for children younger than 2 months of age. If they must be outdoors, infants under 2 months of age should be kept away from biting insects and protected with mosquito netting. Avoid scented perfumes, lotions or sprays as those may attract more insects. Avoid spraying insect repellant directly on your child’s face and apply by using your hands while avoiding their eyes and mouth. Once your children return indoors, make sure to wash their skin with soap and water. Next month we will focus on car safety including car seat recommendations and the danger of hot cars.